Despite its status as a smaller-sized casino game software supplier, BetSoft is currently enjoying a nice rise in standing as more and more players learn about this producer’s interesting collection of free-play video slots headlining a collection of online casino games. Once discovered, the BetSoft catalog is not to be forgotten, boasting as it does such sumptuous graphics and a wide range of 3D slots. As for these impressive 3D games, BetSoft PR promises that “Nothing Comes Close” and rarely has such a slogan been as accurate. 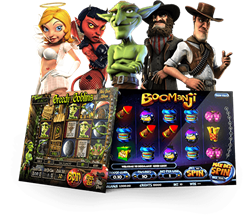 This software company also brings an admirable amount of innovation to its outstanding product line: Betsoft demo slot games mix both unique and standard features on their reels such as scatter pays, free spins, bonus rounds and even “Pick Me” symbols. Literally every online slot game created by BetSoft is unique in its fashion and supplies a new twist on the standard slots fare. Additionally, the great majority of BetSoft slot games feature a progressive jackpot payout. Are Betsoft free demo slot games fun to play? New titles are consistently added to the BetSoft catalog monthly; as of this writing, a few of our favorites include the following. The Slotfather – This is the demo slot that first put BetSoft on the map, and its humorous take on Mafiosi keep this game popular today. Francis Ford Coppola’s famous movie trilogy plus any number of godfather-type tropes get sent up here right from the game’s motto, “I offer them a jackpot they can’t refuse.” Said jackpot pays out when lining up (not *that* kind) five of the titular character’s symbols on an active payline. Also high-paying is the video bonus round, which urges the player to choose three businesses to shake down for coinage. Lotsa fun and surprises are here, but remember to “never bet against the family.” Capisce? A Night in Paris – Most typical of BetSoft’s backstory-heavy online free demo slots is A Night in Paris, which tells the tale of a would-be big-money heist at the Louvre. 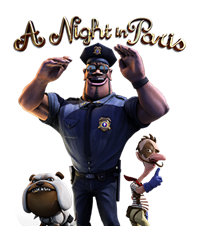 In this soiree du casino, the player takes on the persona of security guard Jerome LaBaste who, together with his dog Pierre, attempt to stop the dastardly thief from swiping famous artworks. In “base game” play, lining up the thief symbol, the police badge and LaBaste himself bags a big bonus multiplier, while the “Caught in the Museum” video bonus round has players selecting artworks to protect – or possibly swipe – for thousands of coins in payouts. Under the Sea – With no “Little Mermaid”-themed free demo play slot game in sight, Under the Sea is the next-best things for fans of the Disney cartoon flick. Landing five Ariel (OK, nameless mermaid) symbols on an active payline scores the player a big 400x line bet payout, but even more fantastic are two additional special symbols: The pearled oyster is a wild that gifts up to an 8x bonus multiplier and landing at least three sunken ships scores up to 15 free spins. So who needs Disney? 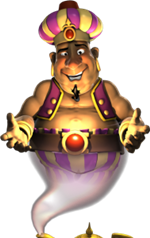 Genie’s Fortune – What would you wish for if you lucked into a wish-granted genie? A lad in the online casino (get it?) could not want more features than what this slick 3D demo slot offers. For example, check out the monkey symbol; landing this bad boy dead center on the screen causes it to go “Click Me Crazy” (hey, that’s what it says here) as he jumps around the reels, inviting the player to point-and-click for serious coinage. And the magic carpet landing in the left-most reel wins four different bonus payouts. Nice. Gemscapades – Don’t be fooled by the standard-looking 10-payline on this casino demo slot game. First off, wins pay both left-to-right *and* right-to-left, an endangered species among online slot features. And sure, the symbol set composed of brilliant gemstones, BARs and lucky 7s appears to be strictly old school, check out the wild star sapphire. Not only does its appearance in any of the middle three reels expand to virtually guarantee an automatic win, but this wild then stays on the screen for a free spin! Triple Crown – And just in case you thought BetSoft demo slots were all high-concept, there’s Triple Crown. Triple Crown is a simple classic-style, single-payline 3-reel game which features the familiar BAR symbols of the typical one-armed bandit along with Aladdin-themed magic lamps and golden temple symbols. Virtual coin sizes can be set anywhere from 2¢ to $100, but just be sure to play three “coins” at a time in order to hit the top jackpot payout of 5,000. Aside from its online slots games, BetSoft supplies a few interesting free-play casino table games, too. “Multi-hand Poker” is an excellent choice for those into poker variations, as is “Oasis Poker.” BetSoft supplies eight video poker games, including multihand variations and the popular “All-American Progressive Video Poker.” Plus, BetSoft has about this many demo blackjack games in a collection that includes Pontoon and the wacky “Pirate Blackjack,” which is roughly the more commonly-known Spanish blackjack but with even more paying hands. Can you play Betsoft demo slots free online? In summation, BetSoft demo slot games make for a particularly good play among those who are seeking something a little different in their demo casino gaming. Even the most veteran of players should find several titles to their liking within this company’s catalogue; these games are ideal for all levels of interest. Since online casinos that are purely BetSoft-powered are basically few and far between, some hunt-and-seek is required to find titles from the internet’s most prolific 3D game designer. Naturally, we have a convenient solution. Check out the list of all the games and find those devoted to BetSoft to check out all the company’s titles – and all of them are free, no-download demo play slots. Same goes for the other casino games as well. Should you prefer to try a casino-hosted BetSoft demo game, no problem: We’ll direct you to a reputable site clickety-split! 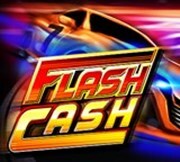 Play some great BetSoft titles right here or visit one of our partner casinos for stunning cutting-edge graphics and terrific online slots gameplay. Find out why Betsoft is among the more popular producers of video slot software today!